1982 John Deere 540B Cable Skidder. This machine has new center pins less then 20 hours, strong hydraulics and cylinders, engine runs and starts good, 3 new tires 18.4x26, strong transmission, will need a new winch brake. Contact Erik @ Red Pine Equipment 218-720-0933. Machine is located in Northeast USA. 1982 CAT 930 Feller Buncher with Shear Head. 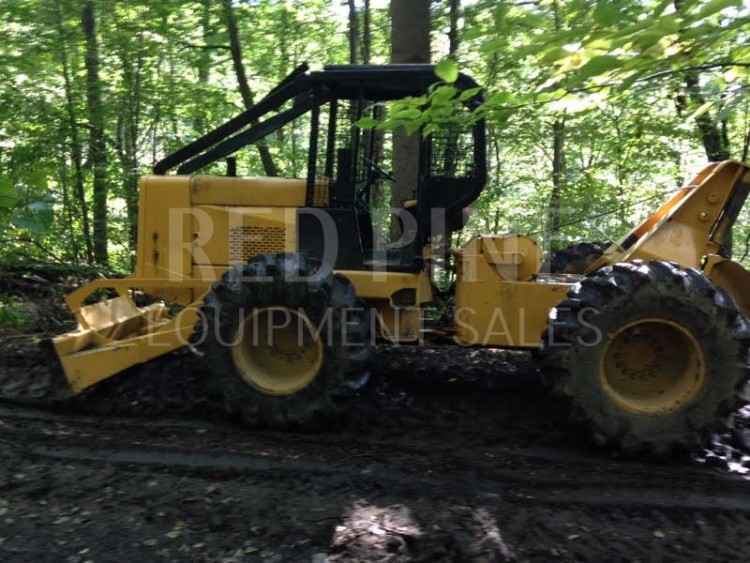 This machine has a 3304 CAT engine, with CAT rebuilt injector pump, engine runs but will need to be rebuilt, hydraulics and transmission are strong, tight machine no major leaks, has bucket and rake, rake will need some work, 23.1x26 tires. Contact Erik @ Red Pine Equipment 218-720-0933. Machine is located in Southeast USA.